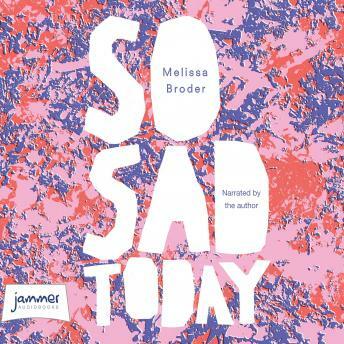 In 2012, Melissa Broder went through a harrowing cycle of panic attacks and dread, so she began @SoSadToday, an anonymous Twitter feed that allowed her to express her darkest feelings, and which quickly gained a dedicated following. In So Sad Today, Broder delves deeper into existential themes, from eating disorders, drug addiction and unusual fetishes, to love, death, and the drama of waiting for the universe to text you back. Narrated by the author, this is a modern day memoir that is relatable to so many.